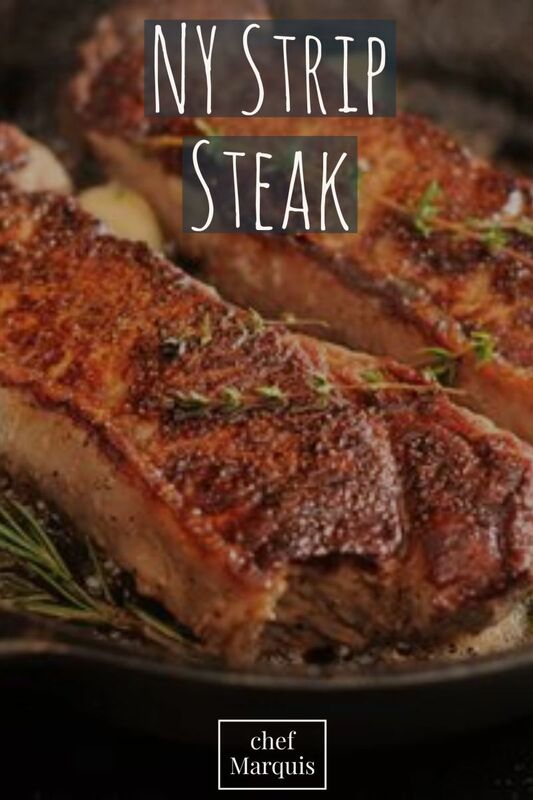 The name "New York strip" originated in 1937 at Delmonico's located in Manhattan, NY. 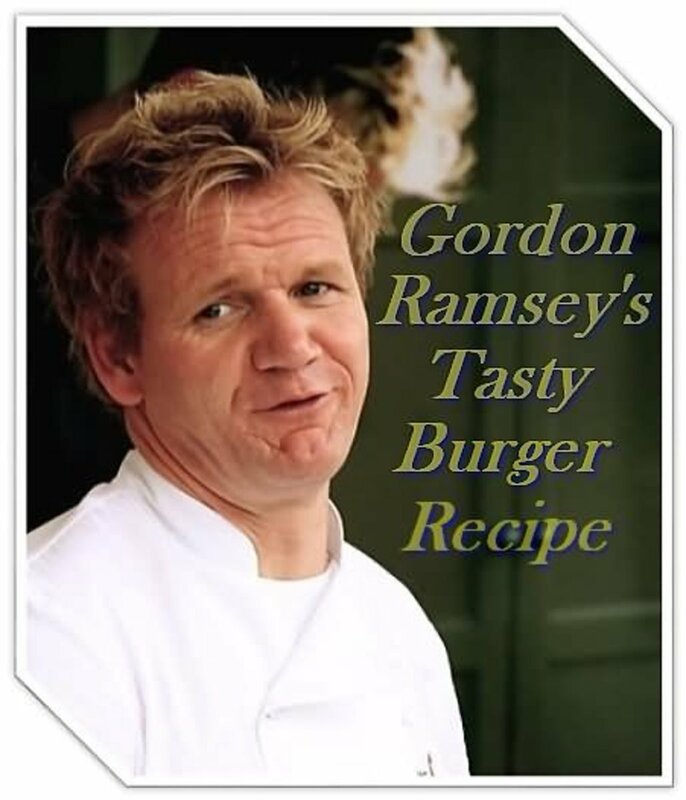 Then, the dish was called "Delmonico Steak" which was a cut of beef from the cow’s short loin. 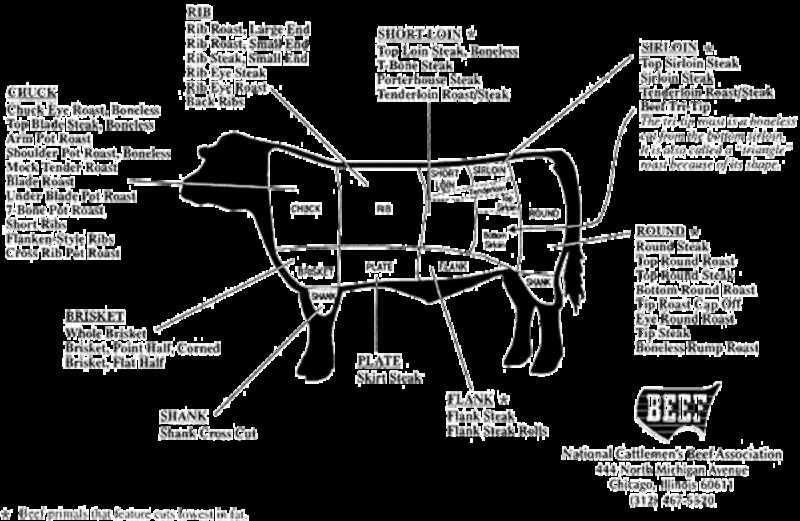 The short loin is located on the upward back of the cow. 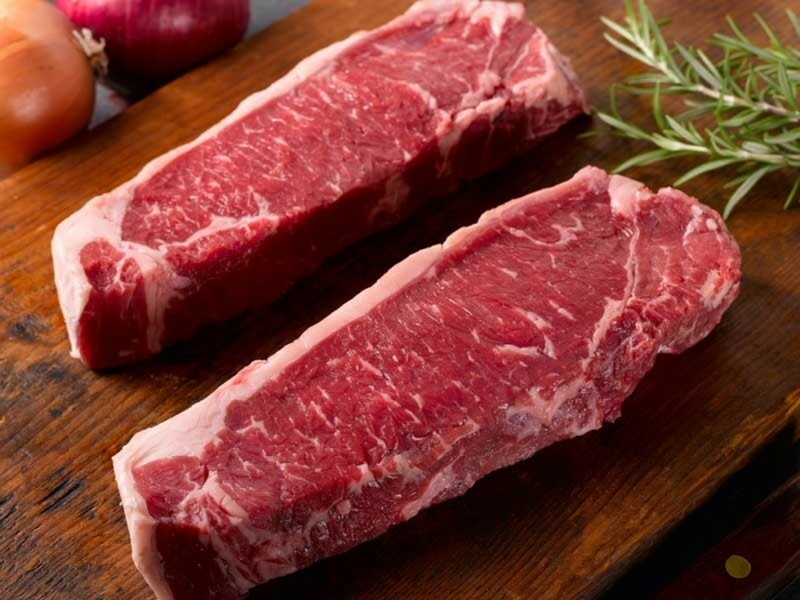 This cut is also sometimes called Kansas City strip steak or strip loin. For the strip loin, the main muscle is the longissimus dorsi. This is also the rib eye's main muscle as well. It extends from the hip bone to the shoulder blade, making it a tender muscle. Strip loin as a good amount of marbling. Marbling is one of the characteristics used to assess the quality of a cut. The more marbling it has, the higher the quality. 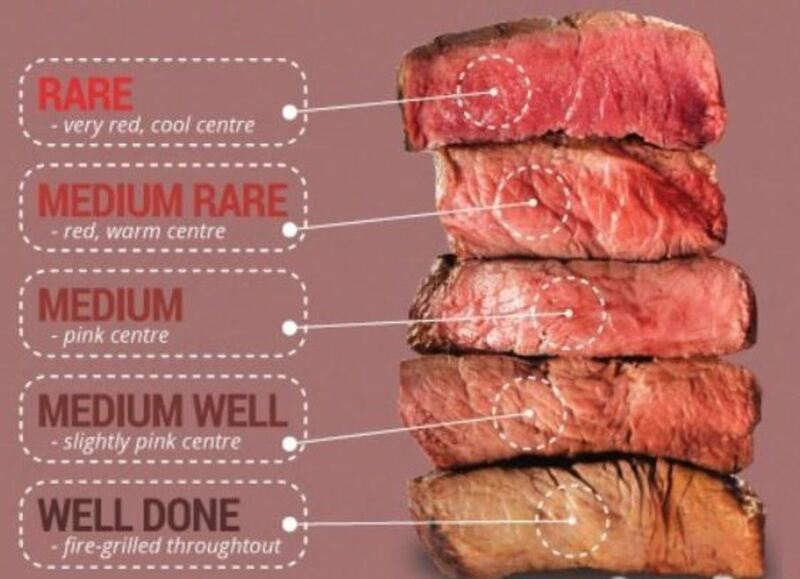 When purchasing any cut of steak, consider the source. This is very important for the end result to be everything you desire. If you desire the most flavorful, tender, high quality cut of beef, you must buy from the best sources. My first choice is a butcher. I prefer not to get good steaks from your everyday grocery store unless there is a butcher present willing to cut it how I prefer. A butcher offer not only the best chance for this, but also better deals as well as locally sourced product. 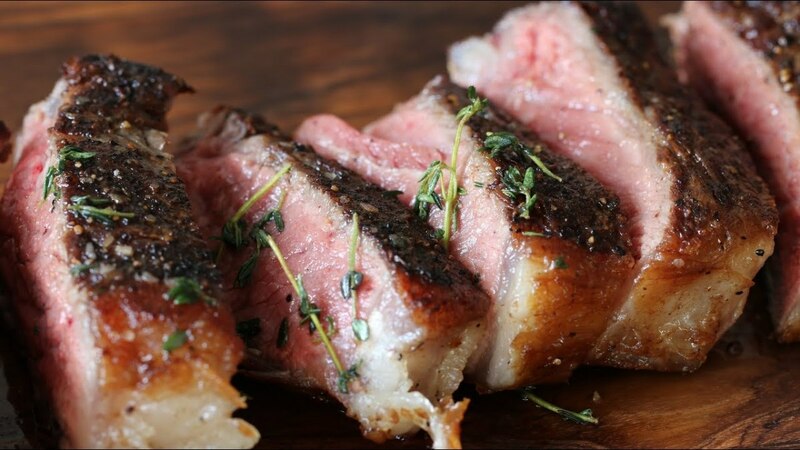 If buying from a butcher, request the cut to come from the rib end, or center of the short loin for best quality. Steak should be wide and relatively straight. There should not be much fat around the edge but you need a little. Funny shaped strips come from cut closer to the sirloin and may be thinner, so avoid these. When the time comes to cook your steak, there are a few more things to consider. A few of those things are technique;(grill, saute, broil, bake, sear, etc) just as well as the desired doneness you are looking to achieve. As an Executive Chef that prefers the cast iron for cooking steaks, I have also leaned towards a more modern approach by using a technique called Sous Vide. Sous Vide simply means "under water." I know what you are thinking; how can I cook steak under water right? Bare with me. 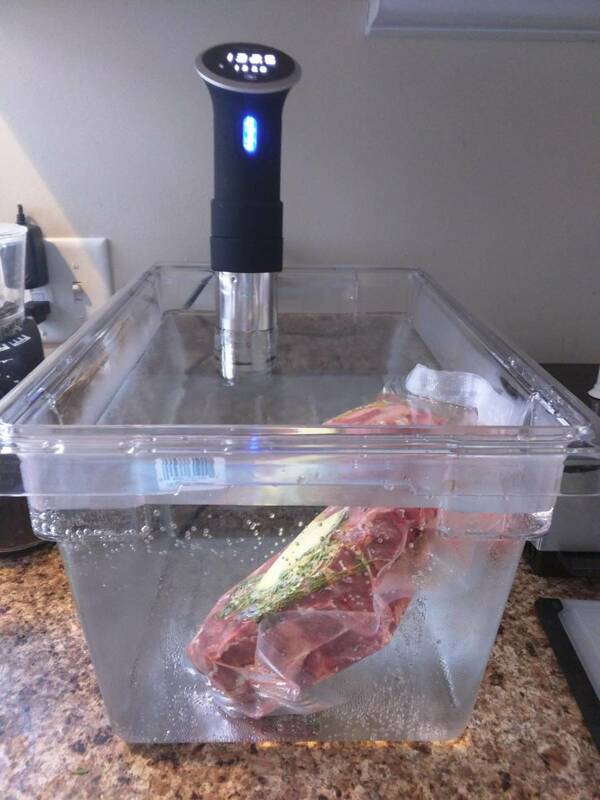 The sous vide technique is perfect for steak and ensures the perfect doneness, and juiciest steaks you can imagine. I have combined this modern technique with the classic cast iron approach. 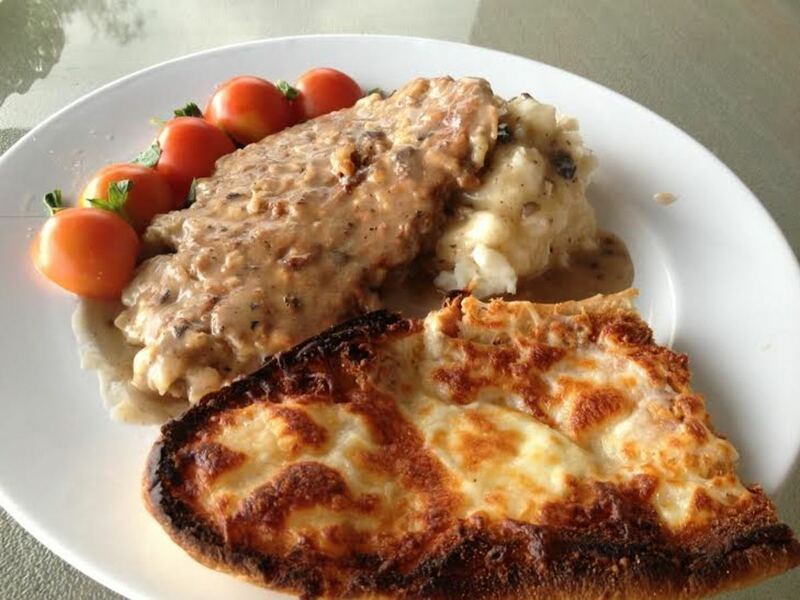 You will need a cast iron skillet, a sous vide machine, and a vaccum sealer to achieve this. Note: Vaccum sealing is also a more cost effective as well when seeking to preserve items. 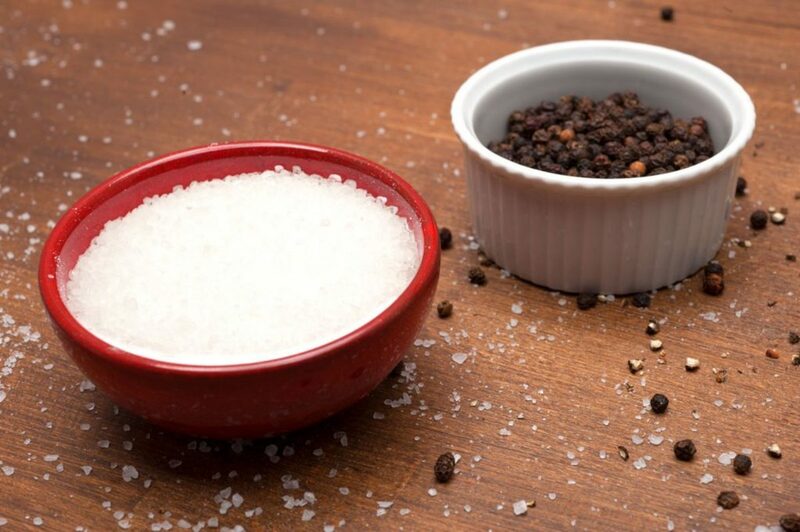 Assists with longer shelf life of vegetables, seafood, meat & poultry, as seasonings! Pull strip steak to sit at room temperature for at least 15 minutes. In a large container or stock pot, add enough water to fill up to max fill line on sous vide machine(i usually start with warm to hot water) Add your Anova sous vide machine so that it is in the water, and the water is filled up to the fill line. Make sure it is secured to the container as instructed. Turn on, & Set temperature to 130 degrees F and start. The water should be circulating. Season the steaks with the salt and pepper, place fresh herbs on top, and place in provided bags. 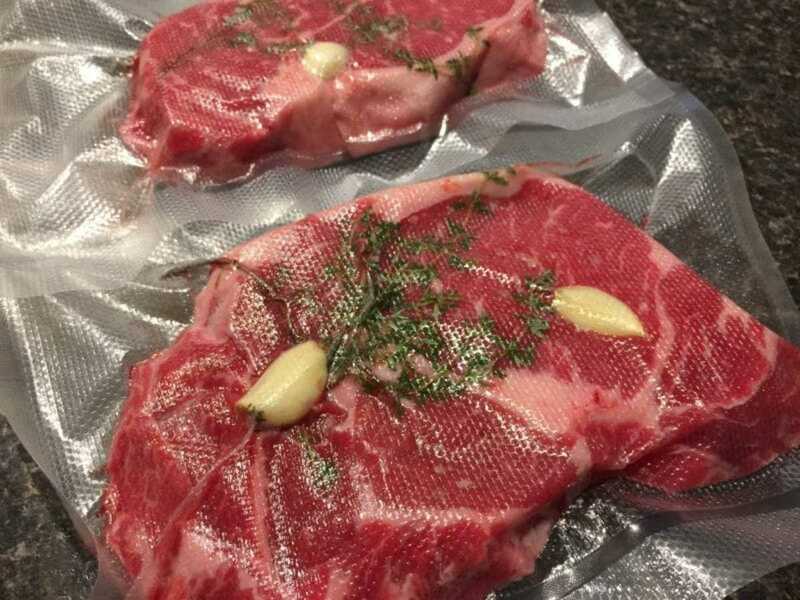 Use the vaccum sealer, and seal the steaks.There should not be much air in the bag. Once the temperature of the water has reached 130 degrees, add the sealed steaks to the water bath. Set timer for 2 hours. 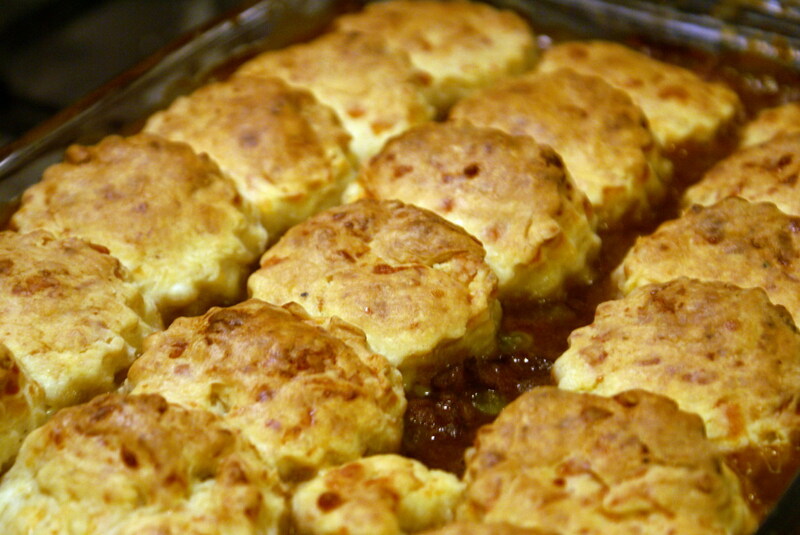 Note: For shorter cook time, set temperature to 138 degrees, cook for 60-120 minutes. When the is nearly done, place cast iron skillet over medium high heat. Remove steaks from the bag, pat drive. Add oil and butter to the skillet. (do not add to screaming hot skillet, keep eye on temperature) Place steaks in skillet and sear 30 seconds on each side until browned. Remove steaks from skillet and let them rest 5 minutes before slicing. 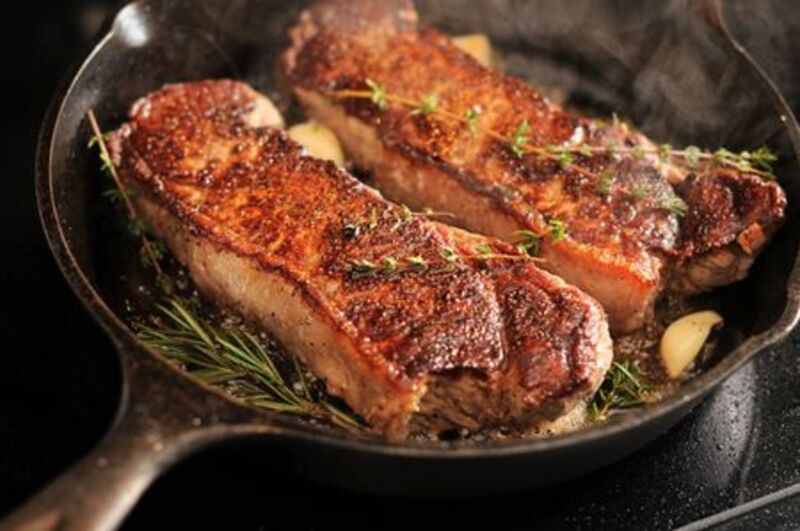 While steak is resting, add butter or oil to skillet with more fresh herbs for about 30 seconds. Pour this mixture over steaks when serving. Note: for a more well-done steak, sear in pan for longer until desired temperature is reached. It's quite hard to find steak because like I said, it's super expensive so people just eat small amounts of beef at a time. For supermarkets, you could try Tokyu store, Peacock, or Seiyu. You might be lucky and find steak, but don't be surprised if it's a couple of dollars more than you expect! When i was in Tokyo last year, i saw steak on many of menus but could not find grocery stores. Poppy where should I go next time? I do miss steak. Here beef is expensive so you'd never find anything like this. The pictures look great, too.